Amy Dominy writes every kind of kidlit—books for teens, tweens and toddlers. She says, “Part of the fun is getting to write completely different things. I might start the day with a teen character facing life or death—and then end the day with a dinosaur cookie.” Her newest YA novel, THE FALL OF GRACE, was initially inspired by Bernie Madoff’s Ponzi scheme—but ultimately became the story of Grace, a desperate girl at a bus station with only a knife and a backpack to her name. If you’re like me, and can’t wait to read more, enter Amy’s giveaway for the book . . . and while you’re waiting, check out our conversation. Welcome to the blog, Amy! 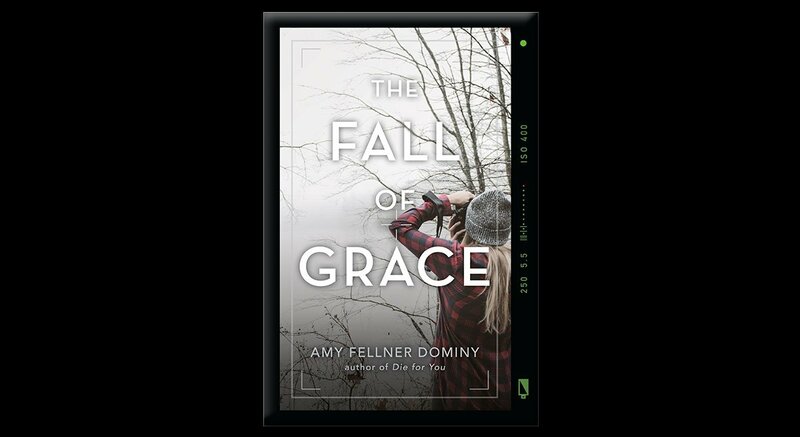 Your new novel, THE FALL OF GRACE, just hit the shelves. What’s it all about, and what was the inspiration behind it? $45 million dollars are missing. Grace’s mother stands accused. 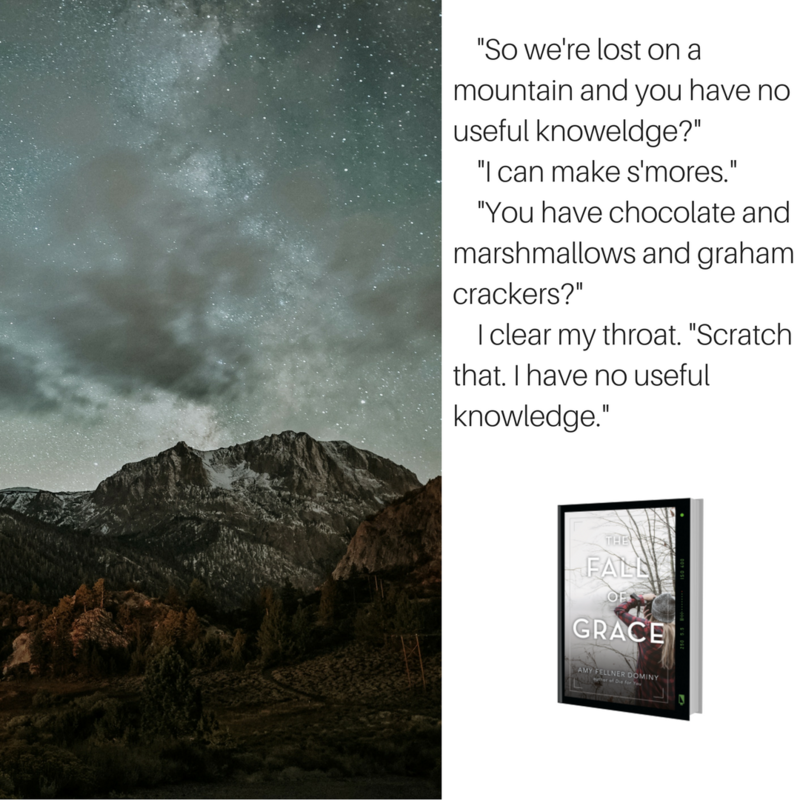 A search for answers leads Grace to a mountain in the wilderness of Colorado. She’s followed by Sam Rivers, a loner from school, who thinks Grace will lead him to the money. To survive the mountain, the two of them will have to trust each other, but what secrets will they uncover once they reach the top? The idea started with Bernie Madoff. I followed the story of the Ponzi scheme he ran—the biggest financial fraud ever that destroyed thousands of lives. I couldn’t imagine how someone could do that. Then I read that one of his sons committed suicide. That stuck with me—the thought of a child discovering that their parent was a monster. What would that be like? The shame. The sense of betrayal. And what about guilt by association? How would you survive that? A flash of a scene came to me: A girl getting on a bus, carrying a knife and a backpack with her father’s ashes in it. She’s desperate. She’s on a journey. She’s hated. Where is she going? What is she looking for? That image eventually led me to THE FALL OF GRACE, and a first scene where a girl is at the bus station, carrying a knife and a backpack. She’s desperate. She’s on a journey. She’s hated. The issues with a father became issues with a mother who was not yet dead…but perhaps dying. Ultimately, it became a book about family and trust. About how we go on when the people who should love us the most, betray us. According to your website, you’re the author of books for “teens, tweens and toddlers.” What do you love best about writing for each age group—and how do you decide what your next project will be? Part of the fun is getting to write completely different things. I might start the day with a teen character facing life or death—and then end the day with a dinosaur cookie. It’s a wonderful way to stretch in different directions and keep everything fresh. For me, I especially love tween and teen because it’s a time of incredible change. Those were the years I was trying to figure out who I wanted to be and what would I do and would anyone ever love me? Ahh, the angst. J When I write for toddlers, there are themes within the story, but mostly I’m thinking about imagination and humor. Reading a book to a class of kids and needing to pause while they laugh is a pretty amazing feeling. Are there themes that haunt you from one book to the next, regardless of the audience—tropes or issues that you come back to again and again? I can’t seem to get away from issues of self-identity. Who are we? What makes us special? How do we make a place for ourselves? The issue has followed me into picture books: even Cookiesaurus Rex wants to be more special than the other cookies. You’ve been a copywriter as well as a playwright. How did these experiences translate into writing a novel? Any unexpected surprises or challenges along the way? Those jobs were amazing practice for novel writing! As a copywriter, I wrote in many voices for many types of products. That helps now when I’m developing new characters. And as a playwright, I really had to hone my skills writing dialogue. Now, it’s my favorite thing to write and I’m often complimented on how realistic and fast-paced my dialogue is. I’d encourage other writers to experiment with other forms. You learn a lot! I know you love to do school visits. What advice would you give new authors who are writing for young readers about this process? How do they connect with readers at schools and libraries, and what are your pro tips about making those visits a success? I do love school visits! For new writers, I recommend starting with schools near you. If you have kids, reach out to the librarians or teachers at their school. Every bit of experience helps. As far as your presentation, be yourself. Tell your story—kids want to know about you and how you became an author. I think visuals are awesome so I use a Powerpoint, but I try to keep words to a bare minimum. I love to engage with kids and so I do a very interactive presentation. Even if that’s not your style, it’s still important to ask questions and let the students ask you questions, too. Finally, I’d recommend that any author prepare and practice. I go over and over my presentation, delivering it to my dog, out loud, to learn the flow of my slides and get a firm idea of how long my presentation takes. The other advantage of practicing is you’ll be less nervous when you’re faced with hundreds of eager faces. Is there a ‘project of your heart’ that you haven’t written yet . . . and if so, can you give us a glimpse into what it might be? Every project feels like it comes from the heart—it almost has to because I give a year of my life to every novel I write. I’m waiting right now for the next idea to find me. I can’t wait to see what it will be. Her perfect life was a perfect lie. Grace’s junior year is turning into her best year yet. She’s set to make honor roll, her print from photography class might win a national contest, and her crush just asked her to prom. Then the bottom falls out. News breaks that the investment fund her mom runs is a scam and her mother is a thief. Now, instead of friends, the FBI is at her door. Grace is damaged goods. Millions of dollars are still unaccounted for, and everyone wants to know where it all went. Can she find the money and clear her mother’s name? The key to repairing her shattered life seems to lie in a place deep in the wilderness, and Grace sets out, her identity hidden, determined to find it. Sam Rivers, a mysterious loner from school, is on her trail and wants to know exactly what secrets she uncovers. As the pair travels deeper into the wilds, Grace realizes she must risk everything on the dark, twisted path to the truth. 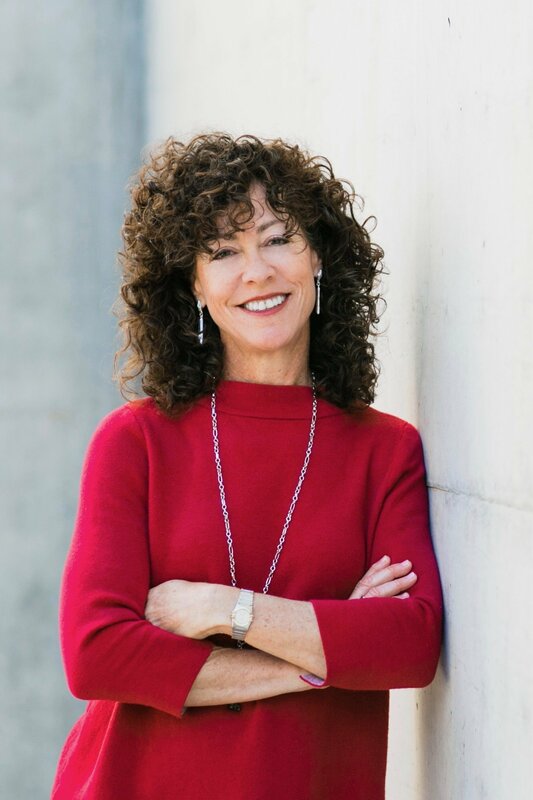 Amy Fellner Dominy is the award-winning author of books for teens, tweens and toddlers. She started writing and submitting stories when she was 13, though it took years for her to sell the first one. Now she has 7 books published including her just-released young adult novel, THE FALL OF GRACE. Amy writes the stories of her heart…usually about teens trying to figure out where they fit in…or where they might stand out. She lives in Phoenix with her hubby and various pets. 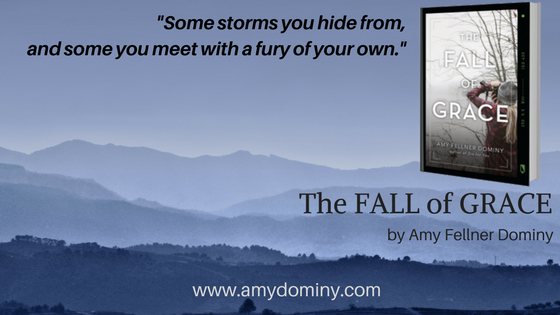 For more about Amy and her titles, visit www.amydominy.com or follow her on Instagram at @amydominy.